Obituary for Bonneta "Bonnie" Jane Bengtsson | Kroeze-Wolffis Funeral Home, Inc. The seventh of eight children, Bonneta Jane Bengtsson was born May 7th, 1930 to Frederick Theodore and Myra Dallis (Page) Bengtsson. Bonnie was preceded in death by her parents, three nieces and one nephew, and all her siblings: brothers Edward, Verne, Hugh, Carl, and Sherman Bengtsson along with sisters Amy (Swindell) and Nora (Vigna) Bengtsson. She is survived by many nieces and nephews. Rural Route #1, Bitely, Michigan was home to Bonnie for many years. She lived on the corner behind Knotty Pine Store until her parents had both passed away. Relatives took Bonnie into their home where she could be near friends and family. In the late 1970s, Bonnie moved into the Dallas Darling House near Newaygo where she lived much of the remainder of her life. While at the Dallas House, she worked at Newday Industries and was very proud of going to work like her siblings had and getting her own paycheck. Bonnie participated in Special Olympics, competing in the softball throw. The House took her and the other residents on many wonderful outings like the White Caps games and to the Grand Ole Opry in Nashville. Bonnie loved music and was known to break into song when the mood struck. She always wanted to go out and ‘shake a leg’ and never seemed to tire as long as the music was playing. She enjoyed life and the people around her, especially the babies! Her smile was brightest when she was around little ones. 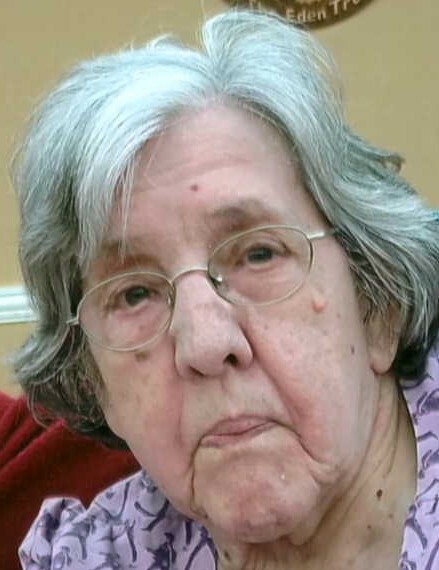 Due to health issues, she moved into Master’s House for care, then Transitional Health, and finally the Newaygo Medical Care Facility where ‘Bonnie B’ received wonderful, loving care from the staff. She passed away peacefully on April 11th, 2019 in the Magnolia Room at the facility, with faithful staff and her guardian niece, Judy (Bengtsson) Peplinski at her side. A Funeral Service will be held at 11:00 A.M. on Tuesday, April 16, 2019 at Volney Bible Church with Pastor David L. Peplinski officiating. Visitation will be at the church from 10-11 on Tuesday. In lieu of flowers, the family suggests memorial donations be made to the activities program at Newaygo Medical Care Facility or to Volney Bible Church. You can sign the online guest book at www.kroeze-wolffis.com. Arrangements are by Kroeze-Wolffis Funeral Home, Inc. of Fremont.